Hey, everyone! Here’s an outfit post that was meant to be posted (again) few weeks back. At least I am making up for it, right? As you may know, I gained weight. It is hard to hide it but yeah, that’s the reality. As much as I can, wearing clothes that can hide my not so flattering figure is my top priority now with fashion. Yes, there’s still hope for girls/ladies gaining weight like me. First, find a pair of jeans that can make you look a tad thinner. This one from Wrangler is my current favorite as it is high-waist and semi-skinny. High-waist pants makes the tummy look more flat, my sister and I can attest to that. Whereas semi-skinny ones can make an illusion of skinnier legs without hugging it too much. Hindi sya mukhang longganisang puputok. Next, find a top that has some details similar to what I’m wearing on the belly area. That ruffled part adds that illusion of sexier waistline. 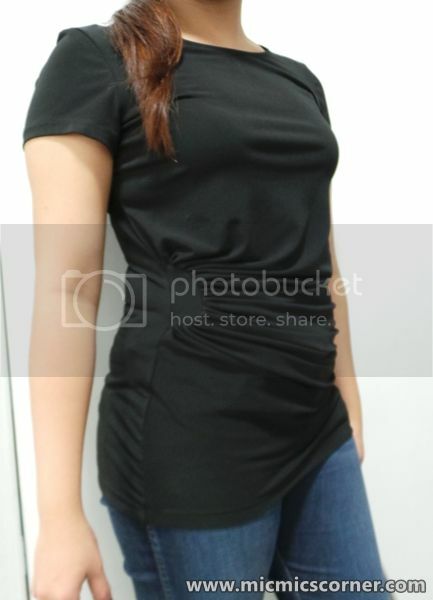 Black, which I think everyone knows, is a perfect color to wear if you’re on the plus size. It doesn’t grab too much attention and again, it makes you look less big. This one I am wearing is from Blanc et Noir. Use a bag that is not too small nor too big. I’ve heard some that wearing a big bag makes you look smaller but for me, just the right size is enough. Somewhere in the middle, methinks. You don’t want people saying you’re as big as your bag diba? 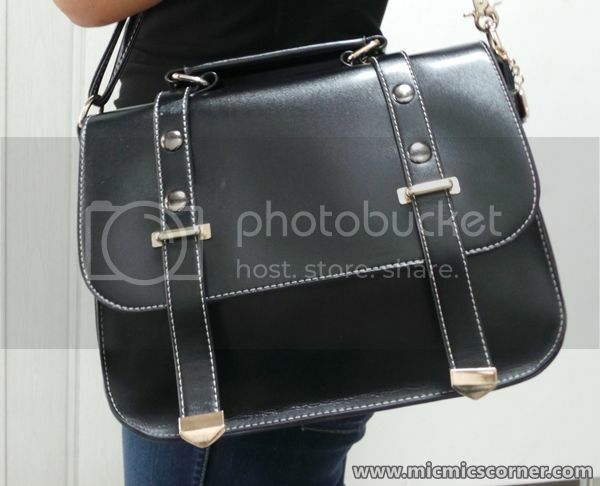 I borrowed this black satchel bag from my sister and she got this at Landmark in Trinoma. Last but definitely not the least, a cute pair of shoes to match everything. I used this silver flats with a ribbon on top fromSolemate because it draws attention. People will look more on my shoes than my big fat belly or my flabby arms. You may use a more striking shoes but since I am going to the church that day, I settled for this one, simple yet attractive. That’s it for my OOTD post. I hope you find this helpful. 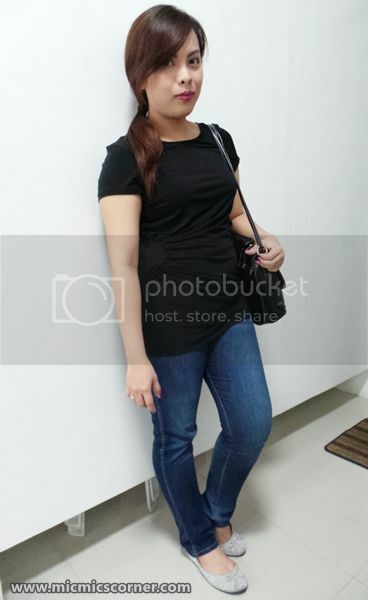 Black color really makes one look thinner though the weight gain is not obvious in your photos. so cute shoes! i love soulmate doll shoes! so fab and comfortable!